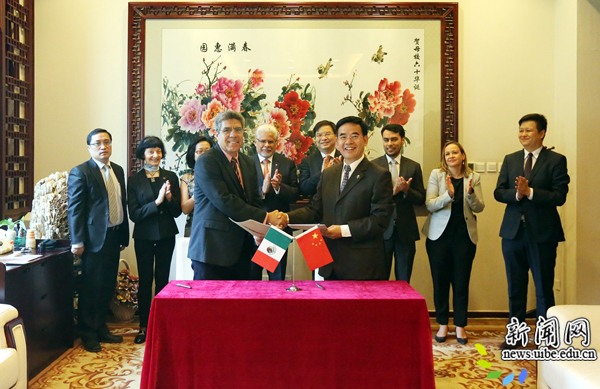 Mexican ambassador to China José Luis Berna visited the University of International Business and Economics (UIBE) in Beijing on June 18, 2017, together with a delegation from Mexico’s CETYS University. 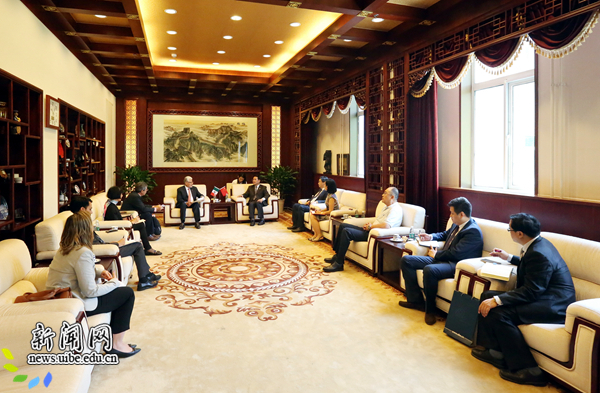 UIBE party chief Jiang Qingzhe held talks with the ambassador. Jiang introduced his school’s characteristics in international teaching and interdisciplinary talents training. Up to now, UIBE has cooperated with a number of Mexican universities in faculty and student exchanges as well as academic researches. UIBE and CETYS signed a MOU of academic cooperation in the presence of ambassador Berna. He said the MOU of academic cooperation would boost cross-cultural communication and academic researches between the two sides. President Jiang said the signing of the MOU would be a new start for the two universities to expand their bilateral cooperation. CETYS vice president Alberto Garate spoke highly of the achievements UIBE has made since its establishment as well as its school-running characteristics of openness and inclusiveness. 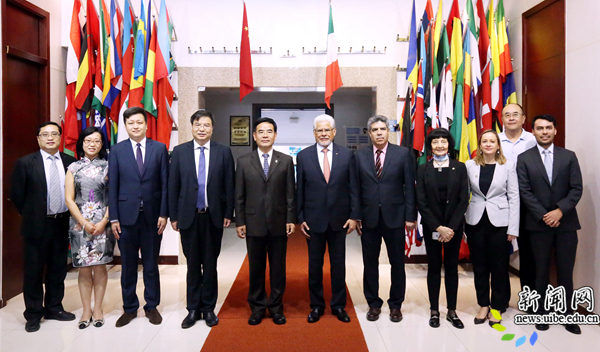 He said CETYS focused on the innovative development of discipline establishment and academic researches and hoped the signing of MOU could promote the exchanges between the two sides.